Could there be a harder topic to begin my 30 Day Travel Challenge with!? Choosing just one of the many fantastic locations I’ve been to as a favorite? Why not ask my mother which of her children she loves most? Actually, that’d be easy. I set a pretty high standard. I guess if I have to make a choice, I’d give honorable mentions to beautiful Portland in the US North West and props would also go to Cairns in North Queensland and Sydney – which I honestly think is the most beautiful city in the world. If it was a place I visited rather than lived, I’d probably give it the nod. But my favorite? I made the call last December and my mind hasn’t changed yet. Queenstown in New Zealand has to be one of the most gorgeous places I’ve ever had the pleasure of visiting. It’s not just the pine forests or the stunning lake or the rolling hills; nor is it the town’s proximity to Milford Sound or the chill backpacker vibe of the place. It’s all of these things and so much more. The heart of New Zealand’s world renowned adventure scene – Queenstown just has something for everybody. There’s water sports and bungee jumping and canyon swings and zip-line tours and Hell Pizza and Milford Sound and so, so, so much more. I honestly can’t wait to go back. 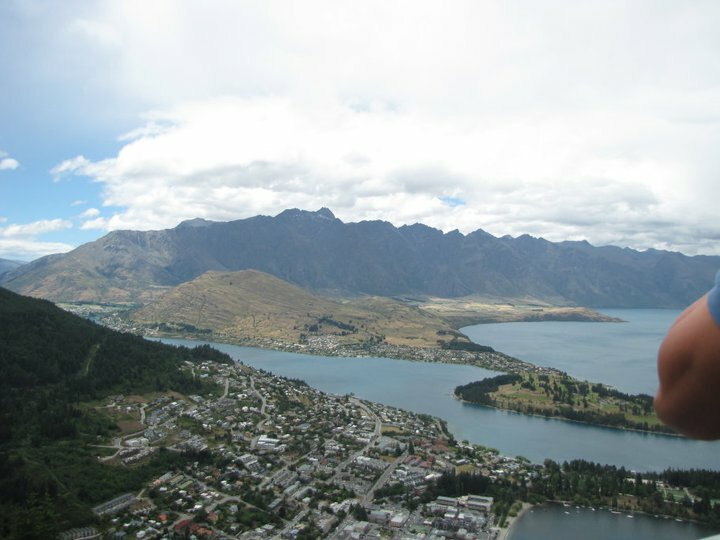 The view of Queenstown from atop Mount Ben Lomond. Photo by Fallon Fehringer. I won’t wax lyrical here (especially since I’m in a dodgy internet cafe) but I’ve linked to a few older entries about New Zealand, Cairns, Portland, and Sydney above. Go look!